Join the cloud today. Ensure high availability, stability and reliability. We balance your need for performance and affordability. Check out or latest offers here. Hosting - Fully Managed cloud solutions. We provide a wide range of managed services, allowing you to get on with business whilst we get on with your business. Any of our managed server solutions offer fully customisable package management options to support a wide range of applications including legacy applications. We'll even help migrate your existing environment over to us where your services can carry on working without fuss - you'll have complete hands-off-control - just give us the orders and we'll execute them. What type of hosting do I need? For simple websites that you can throw up and leave. Suitable for simple 'brochure' sites all the way to fully fledged application websites. Our web hosting package comes complete with one-click-install for dozens of the most popular applications, e.g. We provide a range of servers to meet your needs, from a budget range through to custom built servers with as much RAM and storage as you can use. We offer a unique co-location service that will happily host anything that's safe and doesn't pose a risk to any of our other customers. You just pay for the space, power and bandwidth required. Check out some of the strange things co-located at OpenITC! What type of Virtual Private Server do I need? We help small businesses grow big. Using our cloud technology, our VPS scale to your requirements. As your business grows, so does your VPS. The final step before a dedicated server, our semi-dedicated virtual private servers host a very limited number of other users. Our dedicated VPS hosting combines the power and convenience of our Sensational Support with the resources of a dedicated server. For whatever reason, sometimes things don't work out with your hosting provider. That's ok, we're happy to help support you in your transfer to us and we can even do it for you. Those that have transferred to us have become some of our biggest proponents. 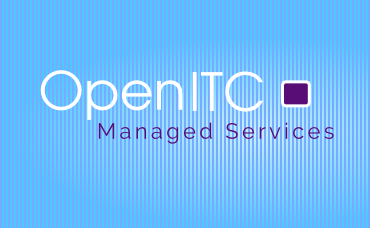 At OpenITC, we're constantly finding solutions that fit our customers needs. With our expertise, we consistently deliver complex hosting solutions and we deliver them with dedication and commitment. We always go the extra mile to ensure your solution is right for your business; we give guidance where it's needed and defer where you know best. Free yourself from the burden of server administration. We're happy to support what you need, when you need it. If your IT infrastructure keeps you awake at night, then let us take the load off. Our support helps you sleep at night. We know we should all do it. Now you have no excuses - Free Backup facilities for all our VPS and Web Hosting offerings. We believe our products are the best on the market and we're happy to stand by them. If you feel unsatisfied with any of our products or services, we'll be happy to refund your money within 14 days.